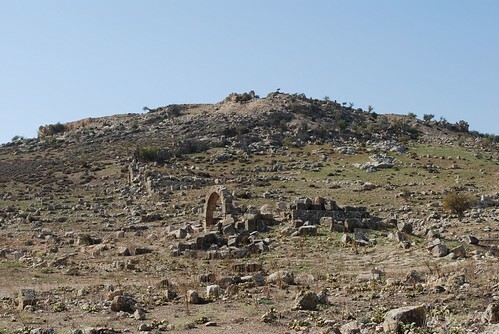 Here’s some photos from Theodoret’s hometown of Cyrrhus in northern Syria. Theodoret was famously outspoken on the ‘errors’ of pagan gods. In his Ellenikon Therapeutike Pathematon (“Remedy for Greek [i.e. pagan] Maladies”), he condemned representations of Venus as “more shameless than that of any prostitute standing in front of a brothel” (3.79) and caricatured Dionysos “that limb-loosener and effeminate creature” (3.80). 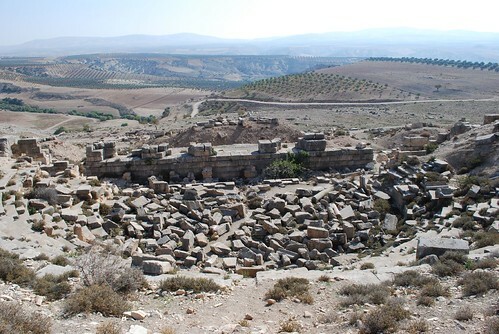 Ruins of Cyrrhus, Syria. Photo: TMK, October 2008. The theatre at Cyrrhus, Syria. Photo: TMK, October 2008. 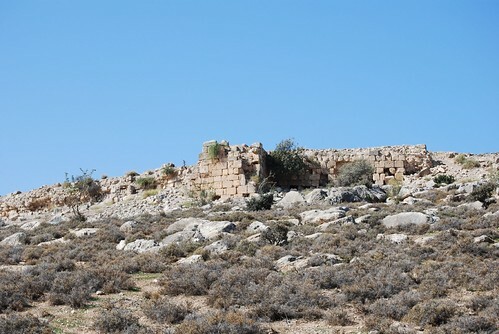 Acropolis fortifications, Cyrrhus, Syria. Photo: TMK, October 2008. 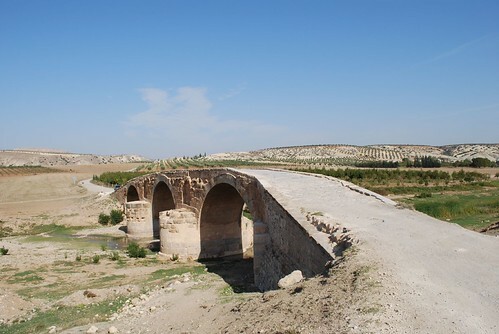 Roman bridge (still in use) near Cyrrhus, Syria. Photo: TMK, October 2008.